Salone del Mobile: Designers Look.. from Georgia! Another of my favourite designer street style looks spotted during Milan Design Week, the one of Lakutatekaddze, a very cool designer from.. Georgia! 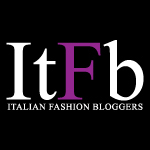 This entry was posted in Looks and tagged Designers Look, Fashion Blog Milan, Lakutatekaddze, Milan Street Style, Salone del Mobile, Street Style on April 16, 2013 by AbsolutelyFaaabulous.